Biden added, “Social norms are changing. I understand that, and I’ve heard what these women are saying. That’s my responsibility and I will meet it,” Biden said. Biden’s remarks came a day after two more women have accused him of invading their personal space and leaving them feeling very uncomfortable. Caitlyn Caruso, a former college student, said Biden put his hand on her thigh and hugged her “just a little bit too long” while the two met at an event on sexual assault at the University of Nevada, Las Vegas in 2016. DJ Hill, a writer, said Biden put his hand on her shoulder and started sliding it down her back at a 2012 fundraiser. “Only he knows his intent,” Hill told the New York Times. The two women who initially came out and spoke against Biden have not accused the former US Vice President of sexual advances but the two women said that Biden, hugged them and kissed them without them wanting him to do it. 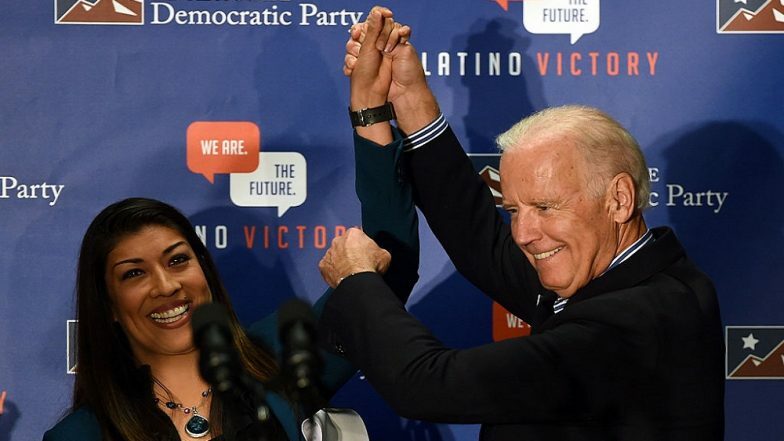 Lucy Flores, a former Nevada state assemblywoman was the first to speak up against Biden and recounted an interaction with him in 2014 in which he allegedly leaned in, smelled her hair and kissed the back of her forehead. Then came Amy Lappos, who said Biden put his hand around her neck and rubbed his nose against hers at a political fundraiser in 2009.